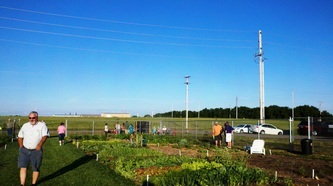 The Mulvane Community Garden is a new garden located on city property adjacent to the city swimming pool. Twenty-eight plots are available for rent by residents of the Mulvane school district. 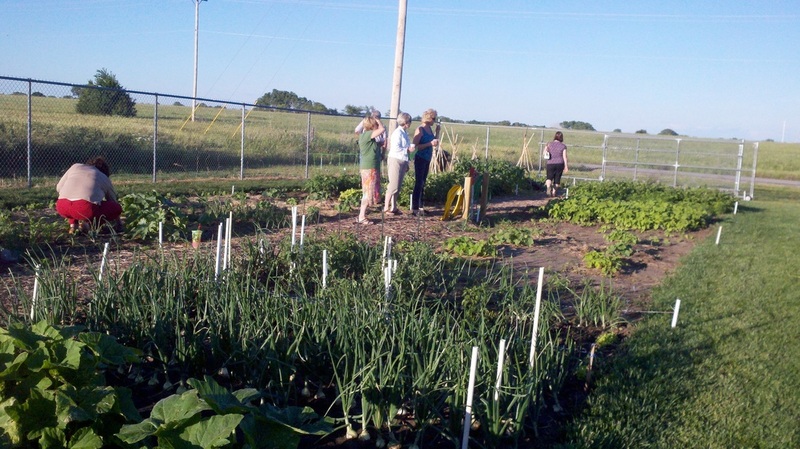 Space is available for expansion up to 50 plots. 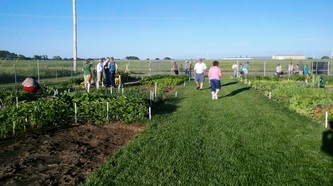 Organizational meetings were held in 2012 to develop by-laws, rules and regulations, applications, garden design, and plot layout. By working with the city and school district the garden members have been able to prepare the site and install some donated fencing. One storage shed was donated by the school booster club. An additional storage shed is being constructed by the high school woodworking class. Grant funds were used to complete the perimeter fencing, and to purchase a shed, rototiller, lawn mowers, signage, irrigation supplies, compost bins and hand tools.